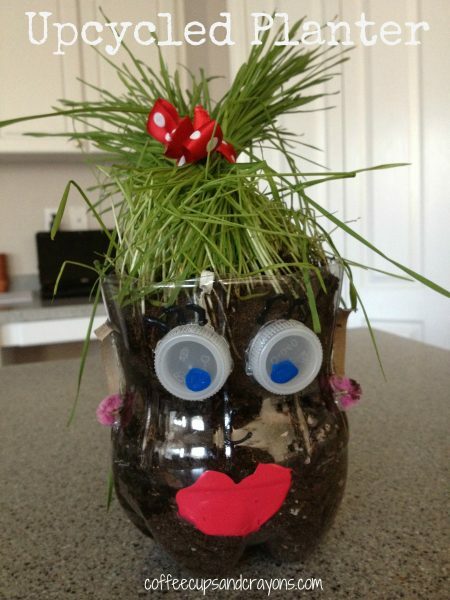 Looking for an easy craft for kids this Earth Day? Then try this upcycled pencil holder made from supplies you can find in your recycling bin! 1. Look through your recycling bin or craft stash for a plastic or glass jar and a newspaper, magazine, or catalog. 2. Cut the catalog into small pieces. 3. 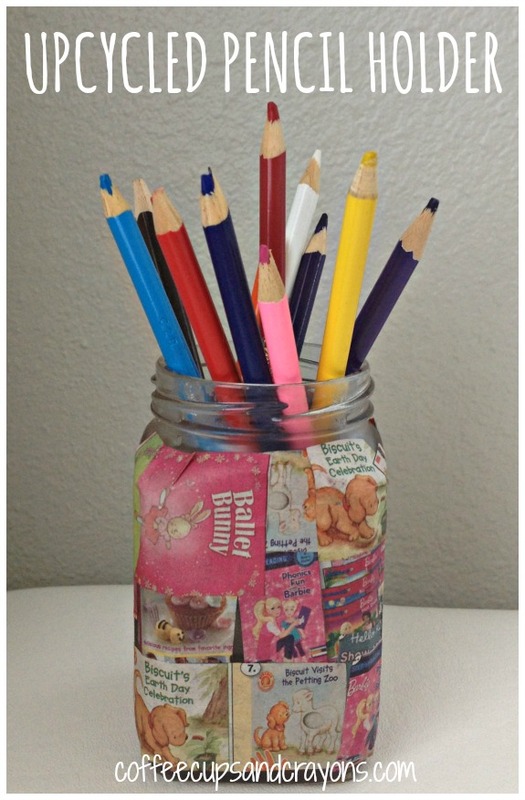 Apply the paper pieces to the jar with watered down glue and a paint brush. Brush a layer on the jar, stick the paper pieces on, and then paint over the pieces with more of the glue mixture. 4. Let dry and fill with pencils, markers, toothbrushes, or whatever you would like! 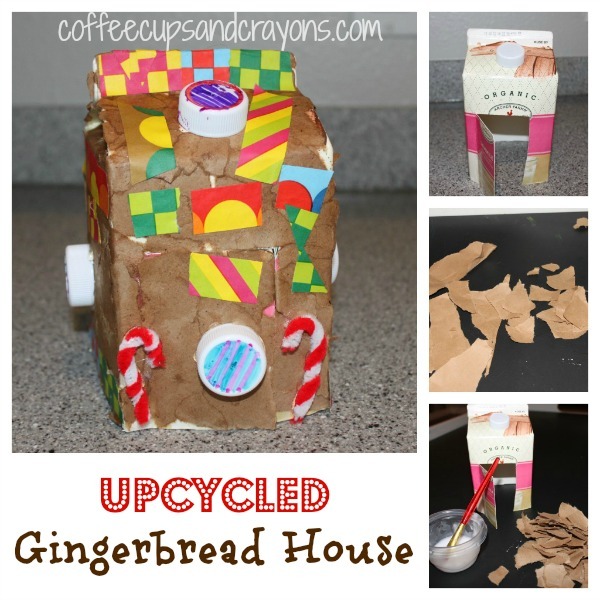 Some of our very favorite kids crafts are made with materials you can find in your recycling bin. Here are three more easy upcycled crafts that are easy enough for kids to make! This is cute – I like the book theme! We always need more containers for pencils and markers around here. Thanks Lorie! Could you tell she cut up last month’s Scholastic book order? Ha! I love this easy idea for making a pencil holder. Thanks for linking up to the After School Party.